Getting presents is fun right? It should be, but what if the thought of a gift etiquette faux pas makes you lose sleep? The view of a full gift table should bring you nothing but joy. It certainly shouldn’t give you anxiety! You can conquer that mountain with confidence, we promise. Read below for advice on how to deal with the most common wedding gift problems. Suddenly you’re seeing double. What do you do in this situation? Which person do you tell to take their present back? Here’s the deal, people know this is a risk at weddings, especially if they go rogue and don’t follow the registry. Getting something you already have can be annoying, but it’s really not that big of a deal. Pick the one you like better (the couples never have to know this was how you chose) and take the other one back for something else at the store. If they didn’t include the gift receipt, it’s not rude to ask them for it. Let them know you received two of their item, but you’re excited to pick out something else just as useful once you return it. It’s time to open your gifts, and look! It’s that nice set of crystal bowls you wanted. 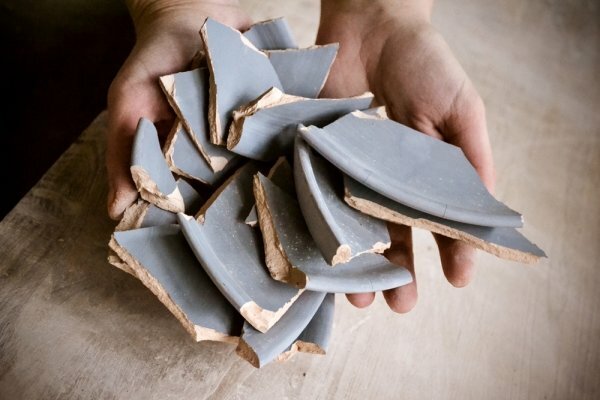 Except that they’re broken. In this situation, even if you have a gift receipt handy already, it’s courteous to inform the gift giver what happened. No one is obviously guilty of anything, but if—for some reason—you can’t get a new version, you’re not left explaining it to them much later. It also leaves you in the clear if you do need a gift receipt. Guests want you to enjoy their gifts so most would be glad to help you out. Awkward question: did you or did you not get us a gift? There is no easy way to solve this situation. Asking people for gifts always seems presumptuous, and a lot of people do get offended by this question if they’ve chose to opt out of a wedding gift. However, keeping quiet isn’t always best either. If they did get you a gift and you never find it, they would probably want to know! The solution for this is somewhat up to you and how close you are to the people in question. The closer you are, the more acceptable it is to say flat out “did you get me a gift?” If it’s a distant relative or someone you know is less likely to get you something, like someone young or someone you know is low on funds, then just let it go. A gift is not worth making you both feel uncomfortable. Whatever you do, just make sure you handle a “no” with grace. It can be very rude to attend someone’s wedding without giving them a gift. You have likely spent a lot of money on feeding and entertaining your friends and loved ones, and it is tradition to receive something to help jump start the next phase of your life. Regardless, it’s never a good idea to fight rudeness with more rudeness. It is just best to take the high ground and move on. This is not what you asked for. This leg lamp wasn’t on any registry ever so why did your Auntie get it for you? You may get some gifts that are awkward simply because you don’t want them. But what should you do in this situation? Throw it out? Truthfully, if it’s not something that will ever be seen or noticed in your house, there’s no reason not to return it on the spot. 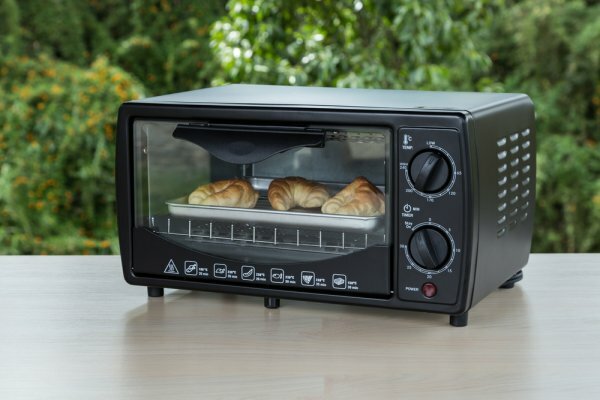 Your cousin who never visits bought you a toaster oven that you just don’t have counter space for? Exchange it for something you do need. A decoration you don’t want to put up can be a pain, especially if that person is going to be around to see it not being displayed in your home. The question here is: is it rude to give away or not display an ugly or unusable gift? No and yes. It depends on who gave it to you. Chances are your great aunt who lives three states away isn’t going to ever know that you got rid of that plastic couch cover she got you. Getting rid of an unwanted gift gets a bit more dicey when it comes to those closer to you, like your mother-in-law for instance. You know she’ll be over and you don’t want to offend her, but you just can’t stand the rug she lovingly picked out that looks like the 70s threw up on it. So what do you do? If you can stand displaying it for a while, do that. Give it enough time so the gift giver can see you’ve at least appreciated it for a moment. Later on you can replace it without feeling guilty. No one can expect you to keep the same décor in your house forever. If you can’t stand it for even a second, there’s always a kind way to handle the situation. Either try to find somewhere to utilize the rug where you care less about the décor (like maybe in the garage) or let them down gently if they inquire. Most people won’t ask angrily where their gift is, but some might. Have an answer prepared for such an occasion so you don’t seem to be fumbling for an excuse and just be honest. Kindly explain that their gift didn’t fit anywhere or didn’t match your personal style, and then let them make the next move. If they offer you the receipt so you can purchase something else, great! If they are super offended, well, they shouldn’t have gotten you something so specific in the first place that you never asked for. At this point you’ve been nothing but kind about it and communicated well, so there’s nothing more you can do. What if your Uncle Moneybags bought you a super expensive gift that makes you feel uncomfortable? Is it rude to refuse it? Unless there’s some other boundaries that we don’t know about (family drama), the answer is yes; it would be rude to outright refuse a gift just because it cost a lot. People want to shower you with things because they appreciate you as a couple and want to see you off to your best start, but it’s understandable that someone spending that much on you can feel weird. Just make a point in your thank you to let them know the gift is extravagant and how much you appreciate it. If you’re somewhat close to this person, you might ask if they’re sure they want to spend this much on you. Most people will appreciate that you noticed their generous gesture and insist that they want you to have it. This way you can rest a bit easier about accepting something so extra. Yikes, it’s been a few months, maybe more like a year and you have yet to send out that thank you note. How rude! You may think it’s so late that a thank you would be awkward, but no matter how long it’s been, sending the note is the right thing to do. There’s always time to correct an error. Explain in the thank you that you completely lost track of time with the honeymoon and life and all and you’re just now getting to the thank yous, but you just appreciated their gift so much you couldn’t not send one! 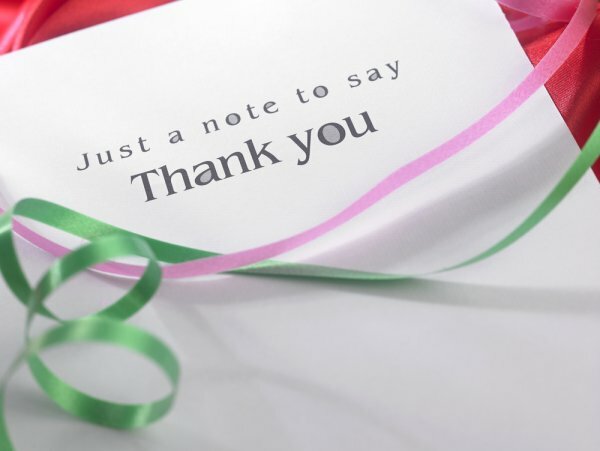 Your guests will feel appreciated and validated, especially if they had given up hope of ever getting a card from you. They shipped your item snail mail and the postal service ate it. What do you do? This situation is easy; simple let them know what happened and wash your hands of it. You’ve got enough going on already. You don’t need to be chasing around one package. Of course, work with them if they need your address again or other such information, but don’t let them rope you into calling the company or any of that. If they are giving the gift, it’s up to them to get it to you. There you have it folks. Gift issues don’t have to be so bad! They can feel even easier if you work together with those close with you to solve them. Don’t be afraid to lean on your family and friends who can help you wiggle out of some tight spots. If you’re still really worried about how to approach a certain person with a gift issue, ask someone close to them for advice. 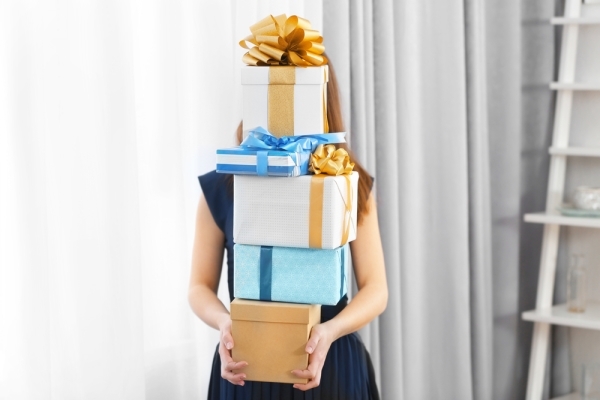 Fix all your gift complications and quickly get to the part of enjoying them!